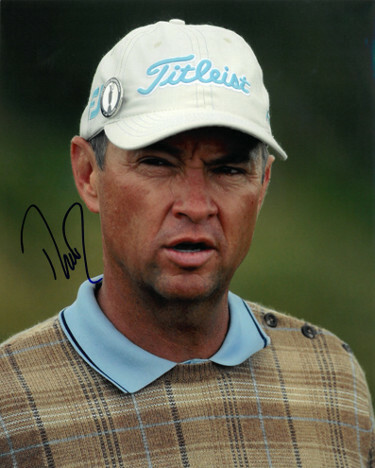 Davis Love III quickly established himself on the PGA Tour, winning his first tour event in 1987. He was later to be in the top 10 of the Official World Golf Rankings for over 450 weeks and reached a high of third. Love has won 20 events on the PGA Tour, including one major championship, the 1997 PGA Championship. He also won the prestigious Players Championship in 1992 and 2003. On November 9, 2008, he won his 20th career PGA Tour tournament, at the Children's Miracle Network Classic. This win gave him a lifetime exemption on the tour, at the age of 44. Davis Love, III has hand autographed this 8x10 Photo. Certificate of Authenticity from Athlon Sports Collectibles.